Bayou Spiced Rum is a popular Rum available from TheDrinkShop in 70cl to buy online. 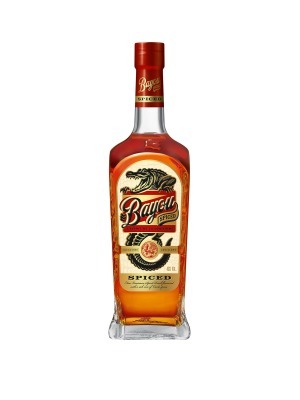 Visit TheDrinkShop for the best price for 70cl of Bayou Spiced Rum or compare prices on our other Rum products. Spiced Bayou Rum is infused with classic traditional spices with a Louisiana twist. Featuring Louisiana grown ingredients, this special gumbo of spices creates a unique and satisfying blend that makes it the perfect rum for mixing. Spiced Bayou Rum livens up everything from a rum and cola to un-sweet tea or an ice cube. Laissez les bons temps rouler! Where to buy Bayou Spiced Rum ? Bayou Spiced Rum Supermarkets & Stockists. You can buy Bayou Spiced Rum online in most retailers and find it in the Rum aisle in supermarkets but we found the best deals online for Bayou Spiced Rum in TheDrinkShop, DrinkSupermarket.com, Amazon.co.uk, and others. Compare the current price of Bayou Spiced Rum in 70cl size in the table of offers below. Simply click on the button to order Bayou Spiced Rum online now.